With over three weeks to go, you might want to get in on Kennon James very-nearly-funded Kickstater project called "Cthulhu ABCs." Check out this hoot here! 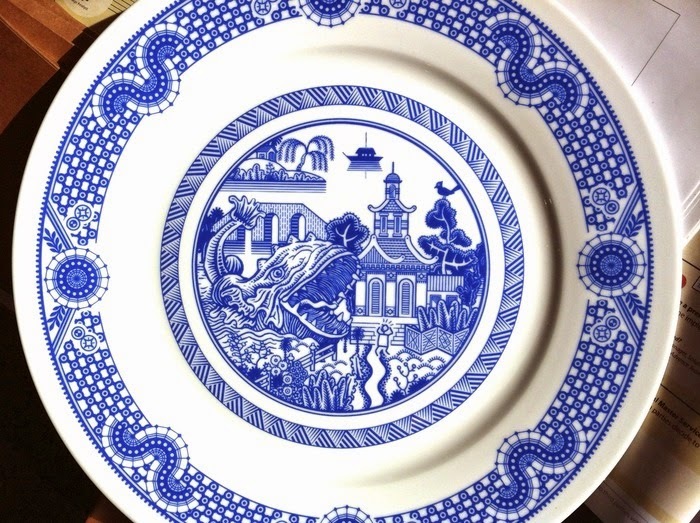 If you haven't seen them already, you need to have a look a the Kickstarter for Calamityware, a line of commemorative plates featuring flying monkeys, giant robots, voracious sea monsters, pirates in the neighborhood, UFO invasions, and more. Read this one carefully when you see more here! 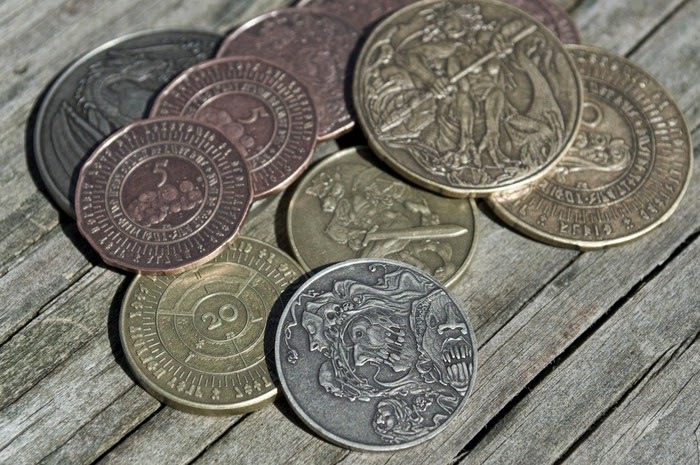 After already having one successful "Rare Elements RPG Fantasy Currency & Coins" Kickstarter, there is now another in the works. See more here! North Star Games has their Evolution Kickstarter already well-funded with tons of time left ot get in on it. See more here! Finally, from the good folks at Tabletop Towns comes a new Kickstarter for fold-slat containers. See more here!